It's not just 2019, it's well into 2019. It's been something like five months since I blogged. About time I wrote a post then. It's been busy here, mainly because we moved house back in November, and we haven't paused to catch our breath really since then. We've moved into a little village in East Yorkshire, which is better for my son to get to school, and had also provided my wife a little more desperately needed room in order to support her burgeoning needle minder activities. 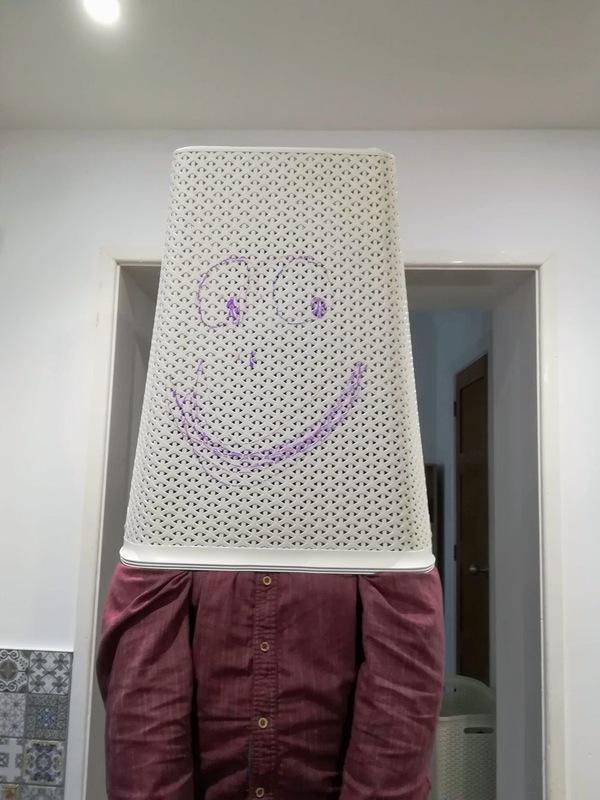 As for myself, I've been working and doing stuff round the house. An interesting side effect of a larger house is that I now lose stuff because I forget how many rooms we've got - more than once I've stomped around looking for something before realising that we've now got a utility room to put stuff in. 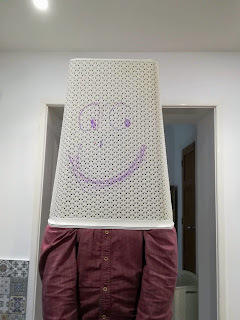 Anyway, I'm blogging because I've got something nice and embarrassing to blog about. 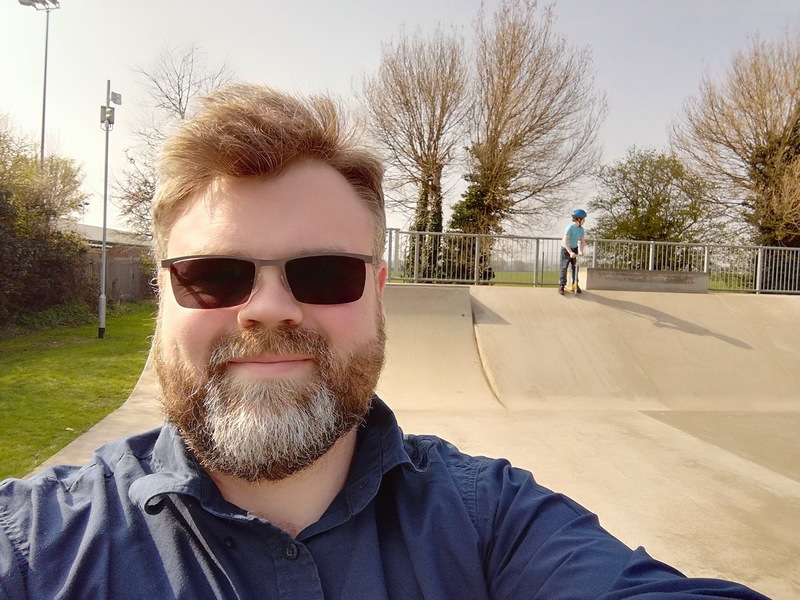 This weekend we've been visiting family in Lancashire, which has been very nice, and this morning, my son decided that he wanted to go to a skatepark with his scooter. This is an entirely normal occurrence, recently he's been on the scooter a lot, to the point where we've bought him a new scooter as his old one was getting a little small, and I've even purchased a skateboard for myself to accompany him (although I've not dared to go outside with it yet, I am contenting myself with falling over in the hall whilst next to a wall). 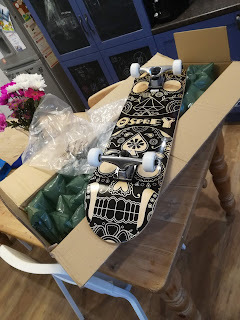 The essential kit for a skater boi. 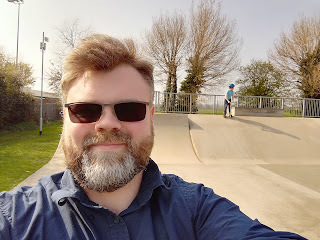 Anyhow, we went to the skatepark, and my son was scootering around, having fun, and I decided to warm up a little (it was chilly and I hadn't taken a jacket) by running around a bit, and seeing if I could climb up one of the ramps. There was a few curved ramps, and one particularly high one. Well, it took me a couple of goes, but eventually I managed to get up the highest ramp, with a good run and jump at the end. And what do you do when you're at the top of a ramp? Well, you come down it, of course. Not having a scooter or a board with me, the natural thing (to me anyway) is to slide down it, as shown in the GIF below. I've done this any number of times, but this time, it felt different. And that would because I've done it so many times in these jeans, this time the jeans gave way. I retreated to the car to inspect the damage, and sure enough, there was a good three or so holes straight through the jeans, in the... "seat" area, shall we say. 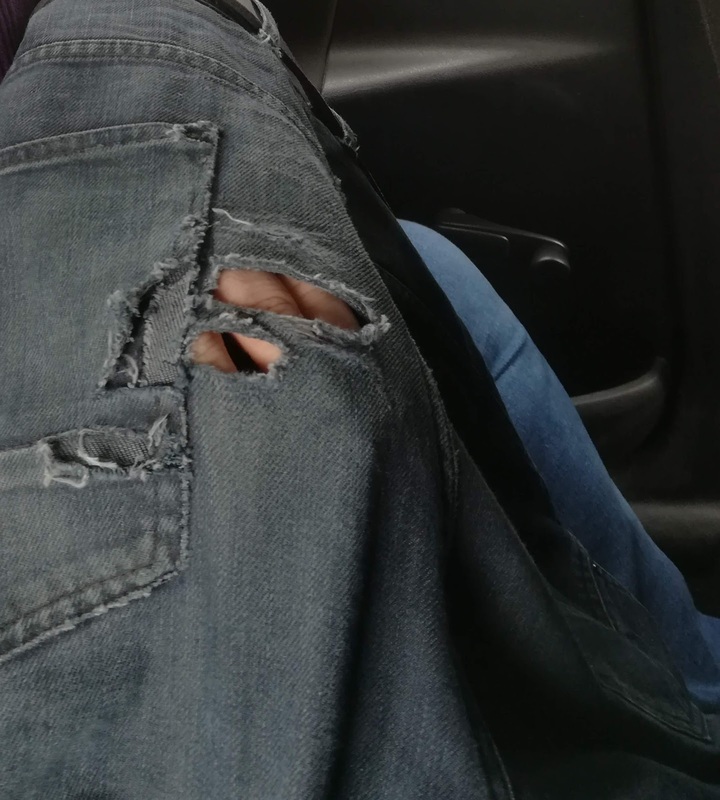 Fortunately my wife is a keen cross stitcher and had brought her kit with her, so we sat in the car for half an hour while she tried to undo the worst of the damage. Nevertheless, one of the worst holes reopened as the day went on, and I found myself in a market looking through fabric samples to see if I could patch it. I purchased a couple of leather rectangles for future repair, but for the time being, I resolved to close the hole again with a spot of sewing. To this end, I bought a reel of what I thought was black but turned out to be brown cotton from the market. 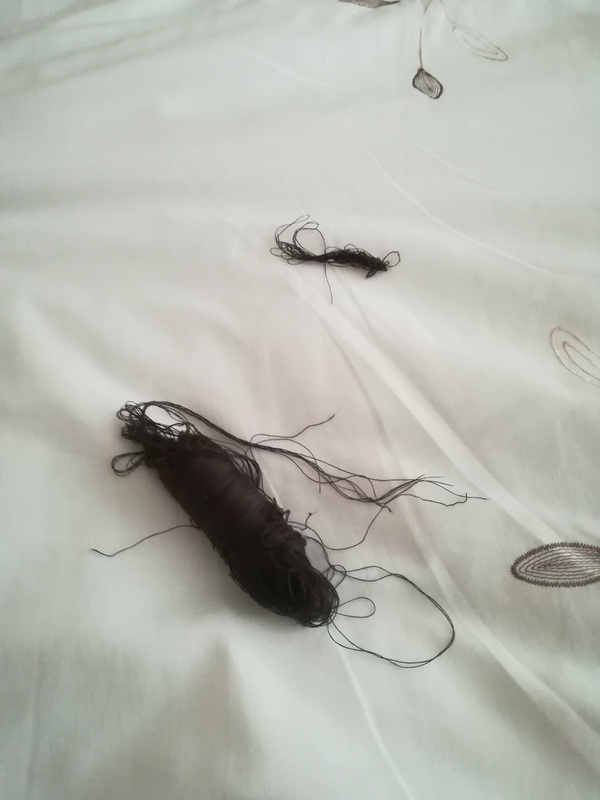 Of course I couldn't find where the reel started so I took to ripping the reel apart until I teased out a length of thread long enough to be of use. The reel didn't do so well. All repaired, I went about my day, sore but at least not exposing myself to strangers and relatives. I did try later to prepare the leather rectangles for patchwork, and I had the bright idea of making holes in the rectangles first in order to ease the sowing. Not having a leather punch, I naturally resorted to a drill. Pro-tip: Drills don't work on leather. What instead happens is the leather wraps itself around the drill bit, which heats up and adheres the leather to the drill in a gluelike fashion, meaning that you have to reverse the drill and pull the leather off while swearing. I dread to think what will happen when I go to the park next time.